It was a cosy evening and we decided to dine in the newly open dining place called J's Gate Dining @ Lot 10. 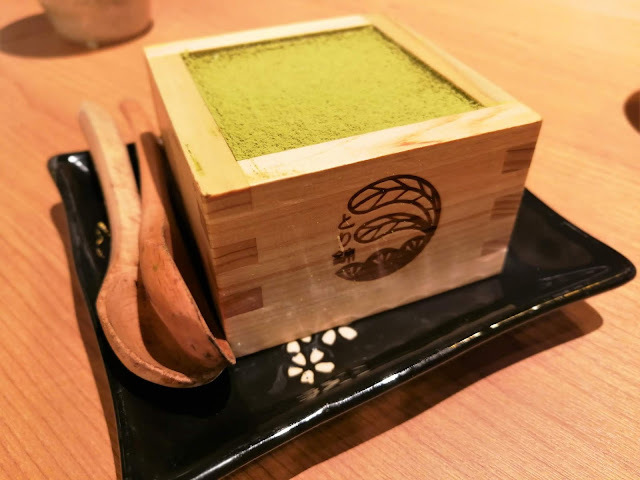 One of the restaurant that captured by attention this round is Torikin which is famed for their yakitori and their matcha tiramisu but they have more to offer than this. The restaurant comes with simply cosy ambiance and their food is prepared by their Japanese Chef. And we spotted few tables of Japanese crowd there enjoying their meal as well. 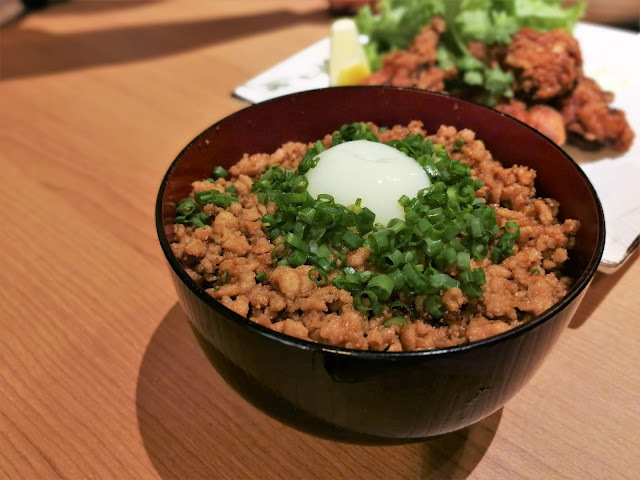 As for their menu, it is pretty extensive and price are quite reasonable as well. 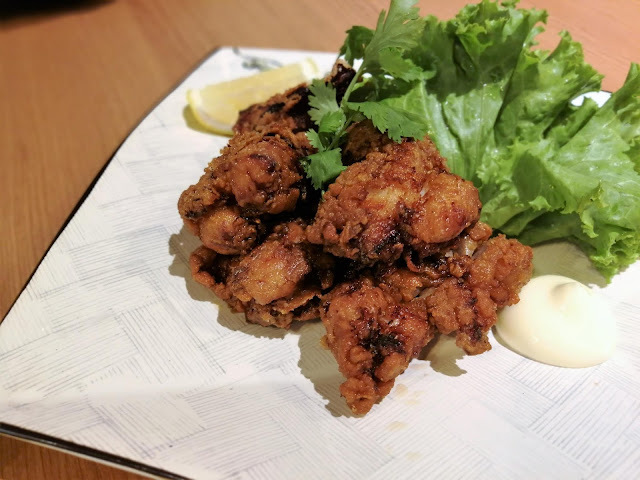 Deliciously done Chicken Karaage (RM16). The meat comes simply tender and juicy. Nicely done. 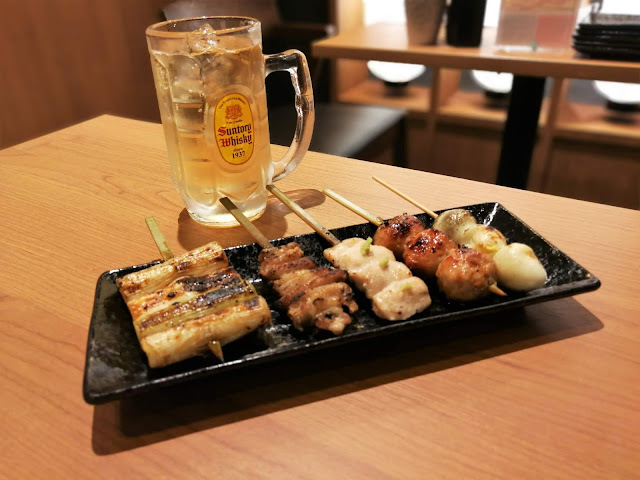 If you love yakitori, here is the place to go, they have it in set or ala-carte and ala-carte is priced at RM 5 per skewer. As for the set, they have 3 choices of set to choose only at RM 45++ and comes with a glass of Suntory Whisky Highball. 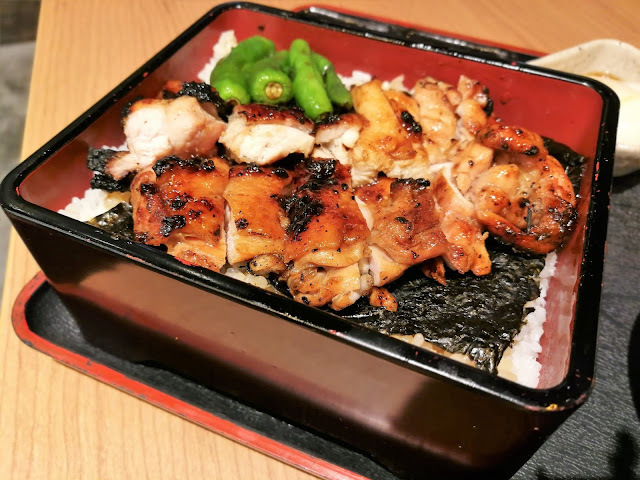 Yorimasbushi set (RM 29) is another must try here where the chicken is well char-grilled and every mouthful is delicious. Ends our meal with their signature Matcha Tiramisu (RM 17). Ho Chak! Address: Level 4, Lot 10 Shopping Mall, No.50, Jalan Sultan Ismail, Kuala Lumpur, Malaysia.